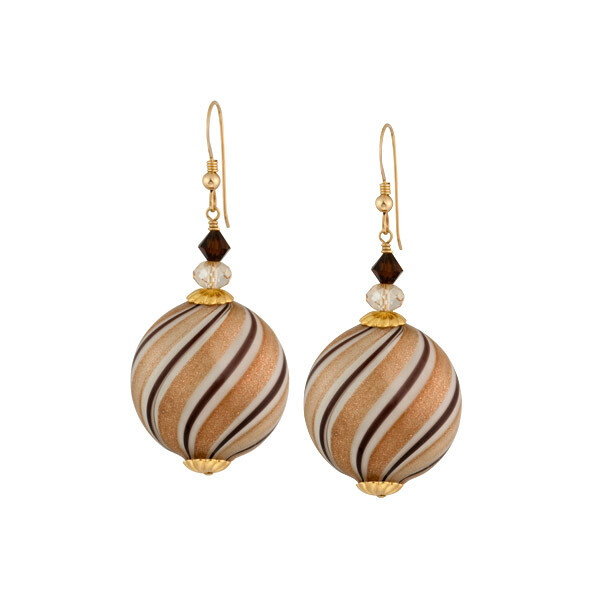 Luscious chocolate and gold tones richly decorate these handmade, blown Murano glass earrings. Made using a unique and more time intensive technique, multiple layers of glass are used to bring out the depth and intensity of color of each bead, which are further accented by Swarovski crystals and gold-filled findings. Approximately 1 1/2 inches in length.